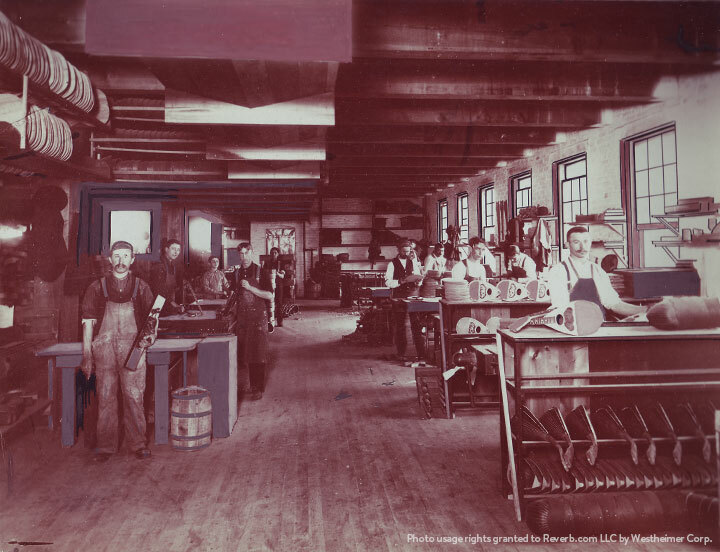 For much of the 20th century, the Harmony Co. was undisputedly the largest producer of musical instruments in the United States and the primary supplier of musical instruments to Sears, Roebuck & Co., the Chicago-based retail and catalog giant. 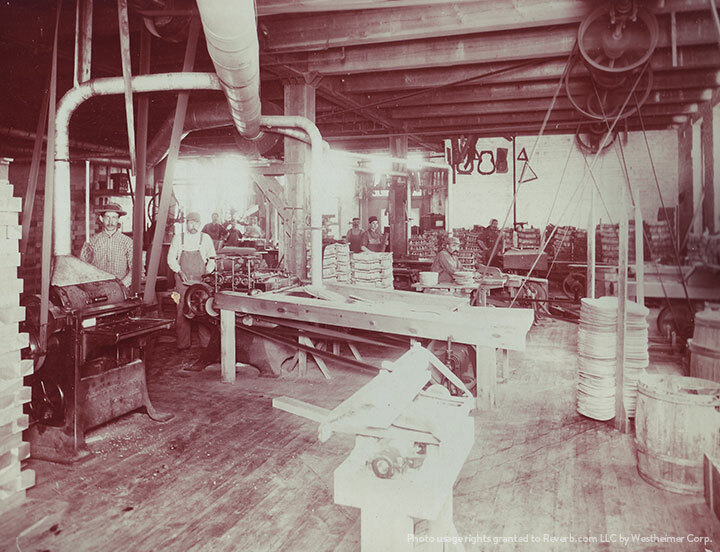 The company was founded in 1892 by Wilhelm Schultz, a German immigrant. 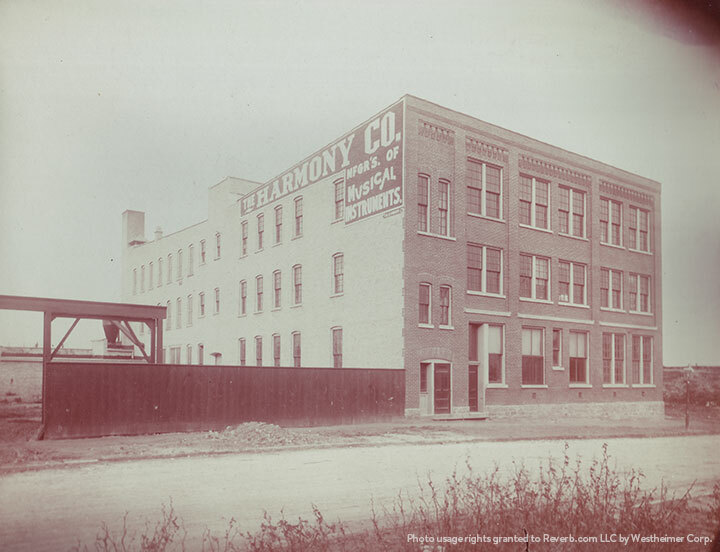 This Harmony factory, photographed in 1904, was near the Chicago Stock Yards, says Larry Goldstein, president of Wertheimer Corp. and former Harmony vice president, noting the empty fields and the lack of a Chicago skyline. “They’d deliver all of the material and all the wood through there,” he says, indicating the fenced yard on the viewer’s left. 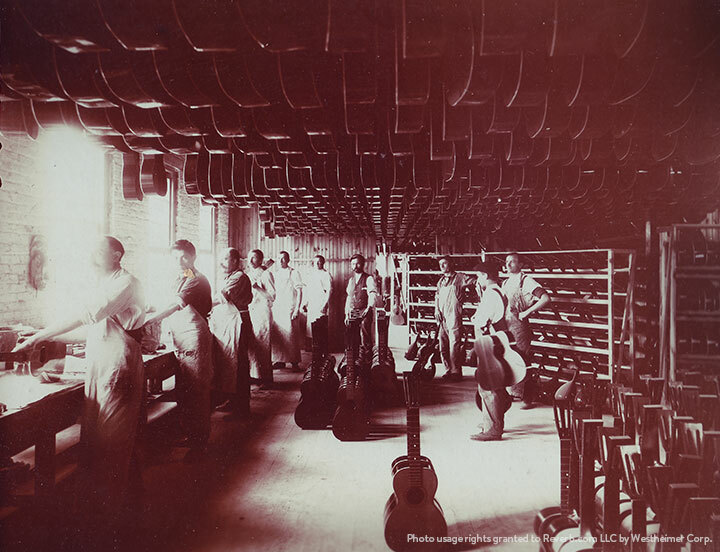 Harmony sold 250,000 guitars, banjos, and mandolins in 1923, and 500,000 in 1930. 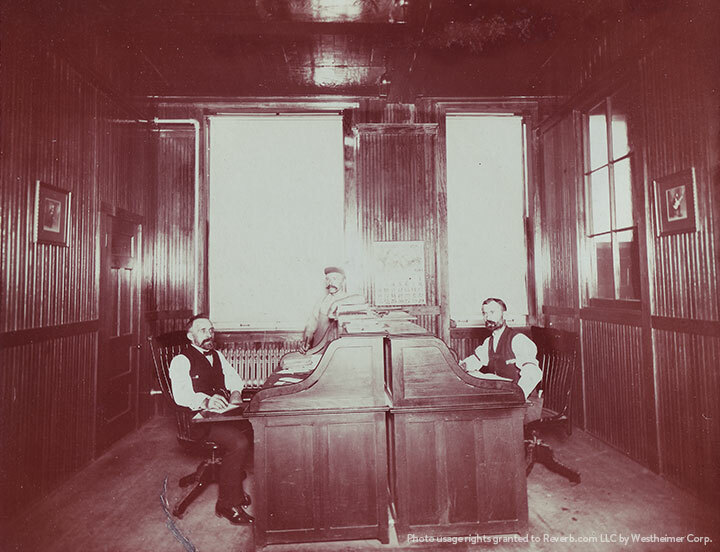 Due to near continuous expansion, the company had several plants and offices throughout Chicago. 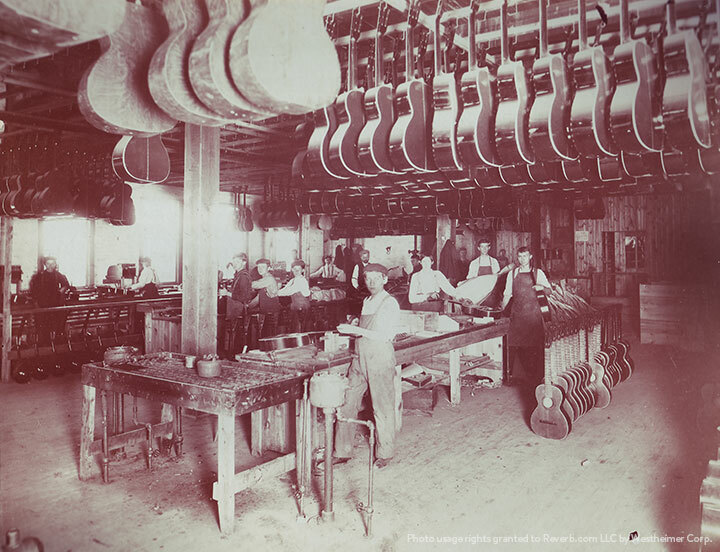 In the early part of the 20th Century, Harmony made more mandolins than guitars, Goldstein says. 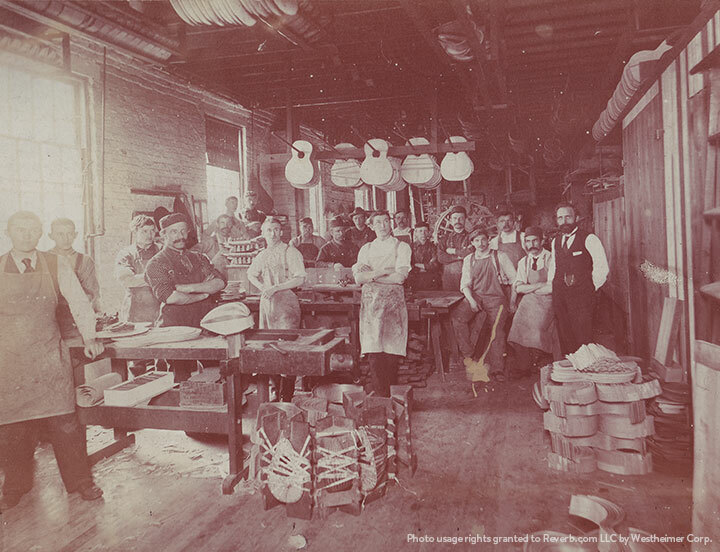 In this image, men are assembling Venetian-style, bowl-back mandolins, Goldstein says. 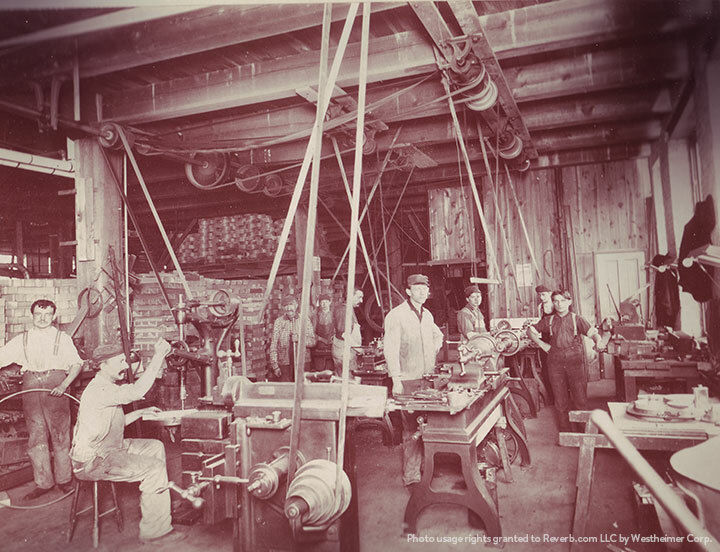 In this image, workers are using belt-driven drill presses to install tuning heads. In this photo, guitar tops are being sanded clean and to prespecified thicknesses, Goldstein explains. “In those days they could adjust the sanding surface -- raise it or lower it -- and they probably just measured it with a ruler. They didn't have the computers back then,” he says. 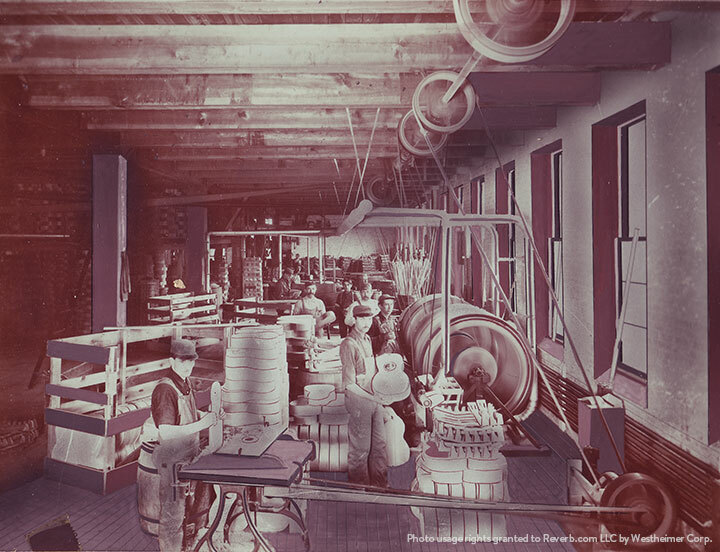 Even into the ‘60s, the Harmony never used computer numerical control, which was created in the 1940s, in the manufacturing process Goldstein says. 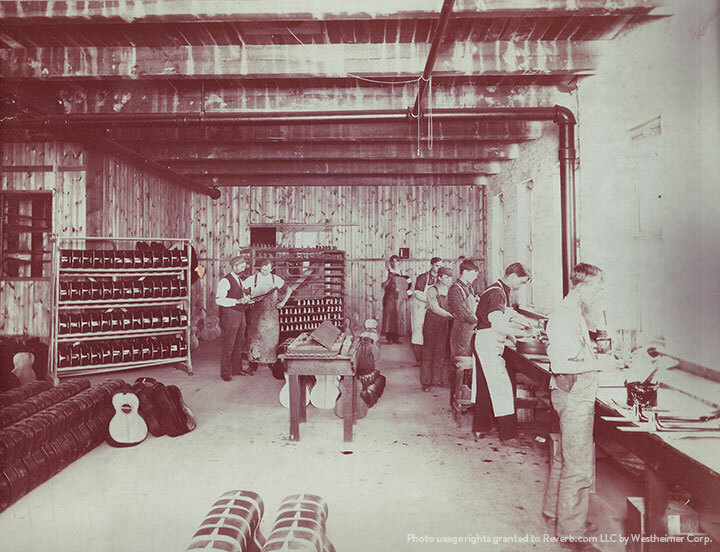 Here factory workers are gluing necks into guitar bodies. On the table to the right, you can see acoustic guitar necks with dovetail joints, and rows of guitar bodies on the left. 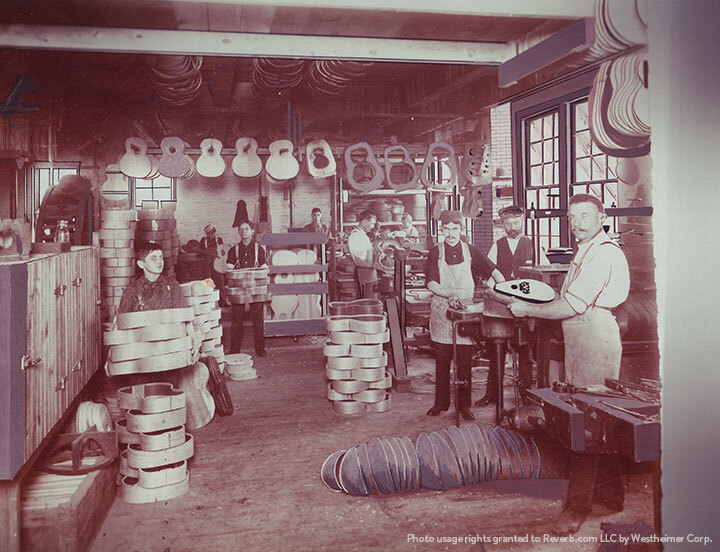 Managers, a foreman and workers pose with guitar tops and sides. In later years, when Harmony launched the solid body Harmony Bobcat, a Stratocaster-inspired guitar, the company outsourced the rough cutting of guitar bodies to a door manufacturer. “Then we'd do all of the final shaping and sanding,” Goldstein says. The binding was made of acetate, which was highly flammable, and contributed to the death of Harmony’s founder Wilhelm Schultz. “We had a fire at the Harmony factory,” Goldstein says. 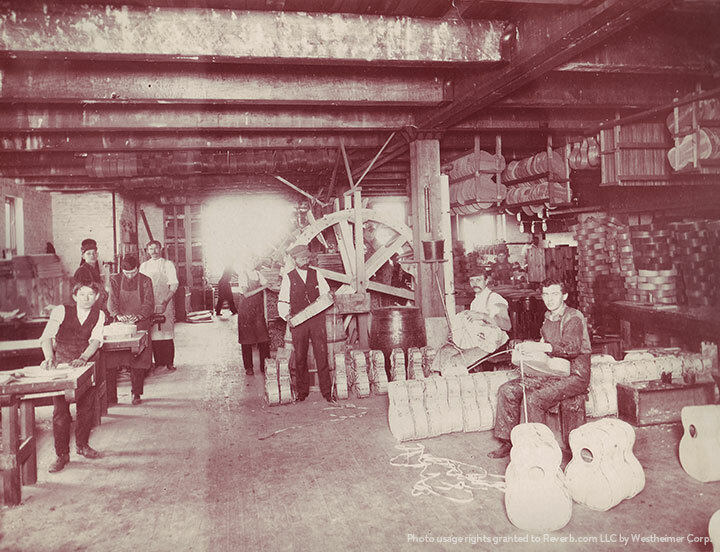 “The garbage company used to come in to pick up the garbage on the inside of the building. When they emptied the container into the truck, there was a spark,” which ignited the sawdust, wood and acetate in the garbage. Harmony ceased operations in 1975 and its inventory and tooling was auctioned off to pay creditors. Since then, Harmony, and associated brands, such as La Scala, Stella and Sovereign,Valencia, Vogue and Airline, have been revived, most recently in 2009, when the Harmony trademark and intellectual property was acquired by Westheimer Corp.